As far as Modi is concerned, Patel would always serve as an inspiration for a fascist like him since he was also in a habit of making racist and irresponsible comments like Modi. 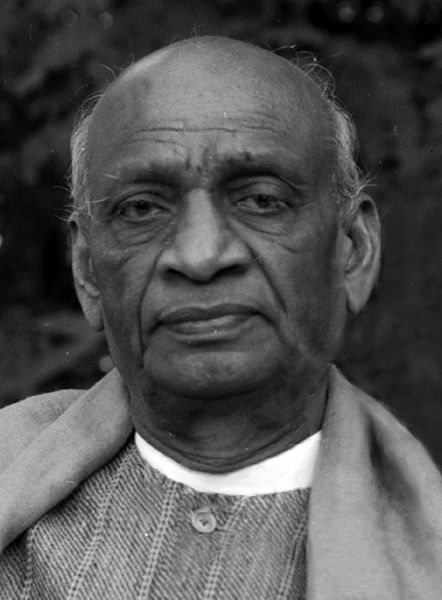 When local Hyderabadi Muslim goons celebrated the escape of Laik Ali, the then Prime Minister of Hyderabad to Pakistan, Patel responded by saying, “I naturally begin to doubt whether Muslims here feel that their future lies in India.” The utterance of such vitriolic comments by Sardar Patel was not unintentional or out of frustration. Those who try to defend Sardar Patel by stating that he banned the RSS and called Hindu Rashtra a “mad idea” should not forget that he regarded RSS men as “misguided patriots” despite their involvement in his mentor’s murder. Sheikh Mohammed Abdullah in his autobiography called “Aatish Chinar” has mentioned how Patel encouraged Hindus to combat Muslims during communal riots and he was also of the opinion that in order to annihilate Pakistan, India must push huge amount of Muslims in its territory, so much so that Pakistan explodes and is forced to come to terms with India. The whole point of constructing a statue called the “Statue of Unity” in the memory of Sardar Patel is not only foolish but is reflective of the manner in which we distort history to praise men of deceitful nature just as Pakistan glorifies looters and invaders like Mahmud of Ghazni in its history textbooks. However, I would conclude by reminding everyone that this latest PR tactic employed by Narendra Modi is an electoral gimmick which is no less than 5-6 years old. Those who doubt my claims should have a look at BJP’s election manifesto released prior to the Assembly Elections in Gujarat in 2007. In that manifesto, the BJP had promised to build a grand statue of unity in the honour of Sardar Patel if it was voted back to power. Thankfully, BJP never lived up to its promises and now we are seeing Mr Modi try out his electoral populism on a national scale in the lead up to the 2014 General Elections.